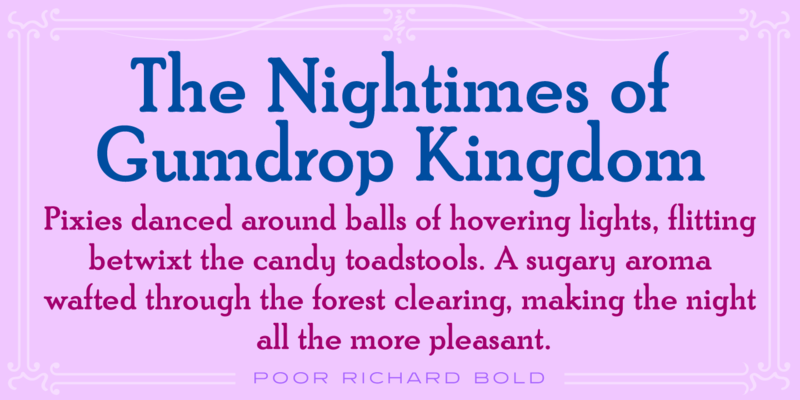 Poor Richard is a decorative old style serif font family with a small x-height, and is based on the Keystone Type Foundry design circa 1919. 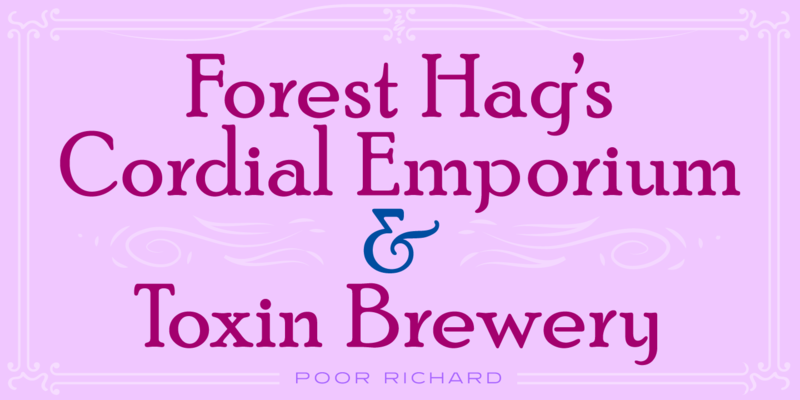 The initial digital letterforms were manufactured by Paul Hickson (P&P Hickson), and it was produced by Steve Jackaman (ITF) in 1997. The lowercase ‘g’ from the original design that resembles a figure eight is still available as an alternate character. 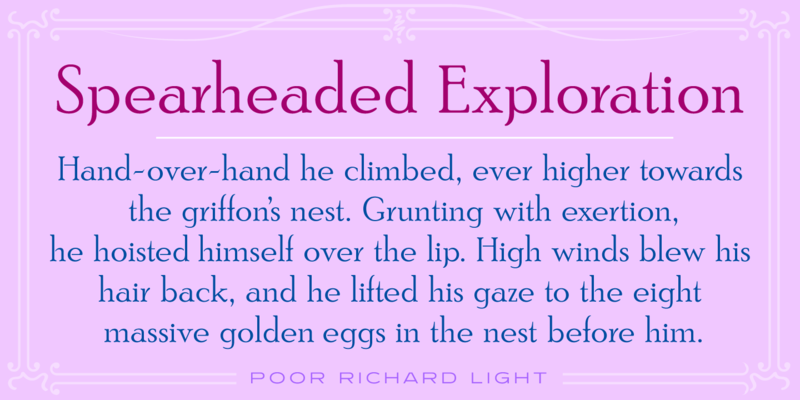 Poor Richard has a homely, old-fashioned renaissance feel, and showcases a few disconnected figures that are reminiscent of stencil typefaces. 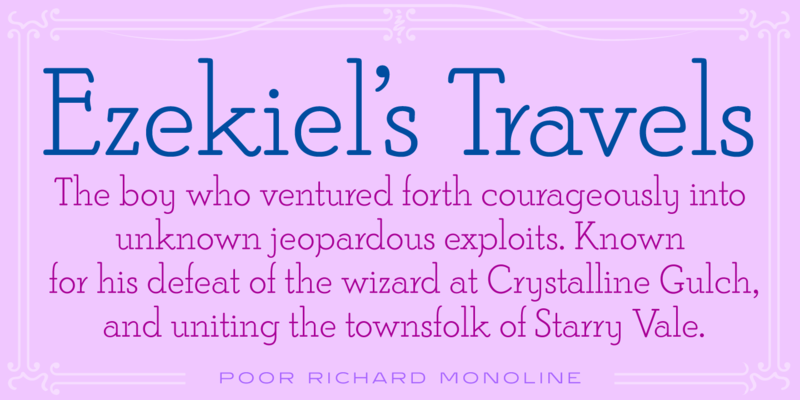 It performs admirably at all sizes. 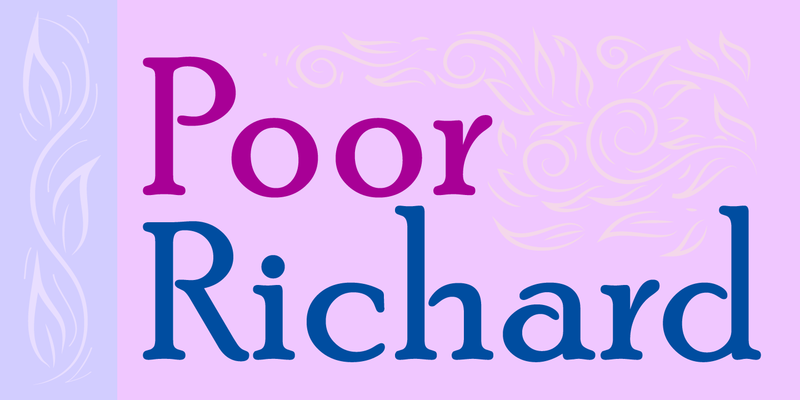 Poor Richard is a trademark of International TypeFounders, Inc.